QR codes – where is it all heading..? Digital dream or creative catastrophe? I found this piece written by Jeffrey Cervantes, social media intern at creative & digital media recruitment consultancy, Gemini Search, and thought it not only a contemporary insight but thoroughly engaging and controversial, too. For the benefit of the uninitiated, QR codes are the two-dimensional monochrome barcodes set of squares you now see appearing at the bottom of billboard advertisements (and other curious places), which can be read by smart phones and QR reading devices, opening up endless digital marketing possibilities. Originally designed to be used for tracking parts in the vehicle manufacturing industry, the QR code concept has expanded within the digital industry specifically within digital marketing and mobile technology. In fact these little creations are now being used by the national education system, various charities within the UK for donations and even banks are beginning to provide these little barcodes within leaflets for first-time buyers. The QR code is an image-based hypertext link – enabling any URL address to become encoded into it – automatically opening up the chosen webpage. In addition to a website source, QR codes can also contain phone number, v-card data or alphanumeric text. Now regularly used within advertisement in newspapers, magazines, brochures, leaflets and on business cards – QR codes can be placed in a variety of places. 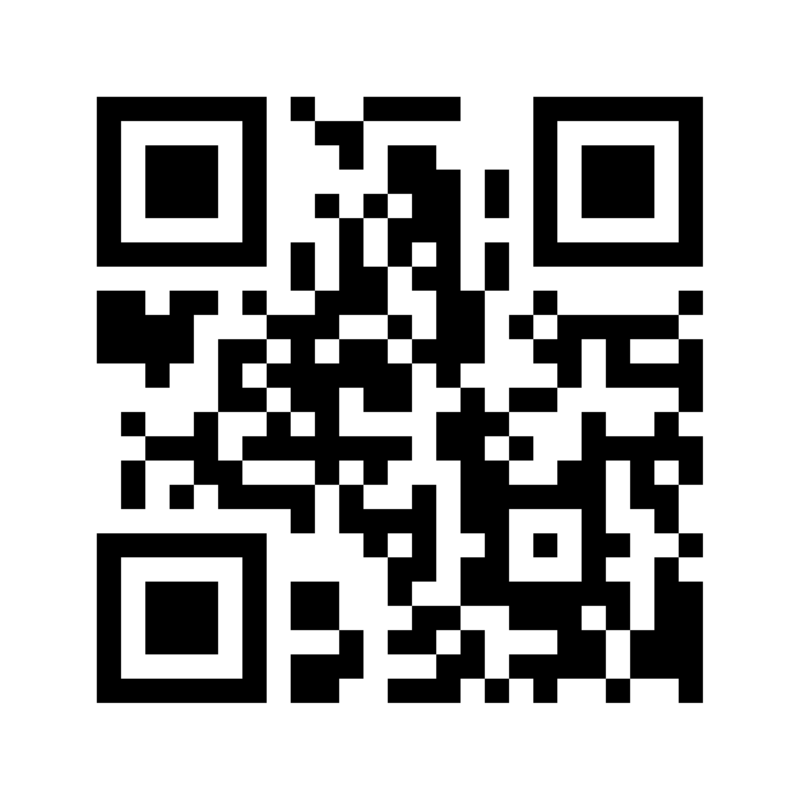 Could I benefit from using QR codes within my own self-promotion? Stuart: I saw a QR code on a business card recently which took me to their website. But I think in this sort of application, it would be best used to point towards a profile about the person on their website. Soon after this comment another industry professional began to touch upon the use of QR codes and his strong belief that there really wasn’t any point in using one to direct the reader to a URL which was already printed on the same card. Neil: I have a feeling that people are lacking a little understanding in the use of QR codes, why put it on a business card at all? A few requests recently had this on business cards that only linked to the website, whose address was stated underneath anyhow. It saved someone the 5 seconds to type it in but I can see it increasing click through in this way. The QR code is designed to offer something else – a link from mass media items works but on a business card must offer something different to the mandatory info already there. I did of course agree with Neil. In providing the recipient with exclusive content such as an online portfolio or even an unlisted YouTube video content relating to your professional career – you could ultimately provide a quick and efficient channel of engagement. This was something which another contributor experienced whilst browsing a quick response code. Ellen: I have seen a QR code on a business card directing to a video on the company. I thought that worked really well and added value. A QR code can be good to use as well to direct to your LinkedIn profile. But like many industry professionals such as Martyn (below) I was sceptical about the use of QR codes on business cards. Some may argue that it is a fad which may (like the Betamax) see a few years of progression – only to direct itself straight into extinction. Martyn: Genuinely, I still feel QR is the biggest waste of time ever. If the info is in front of me, I will look at it. If I am going to go to a site, I am of the generation whose fingers can type fast enough on any device to put that web address in faster than any app can take a pic and take me there. I am not going to download an app, to take a pic of something, and then that finally take me to a website. It feels like it was dreamt up by someone trying to be hip, who is hanging on for dear life in the hope of it taking off. Betamax is its best friend. Give me the soon-to-be-everywhere NFC any day. If the business card is good enough (physical, visual etc) then I will go to their website regardless. Martyn touches upon the quality of the business card, specifically the physical state and the visual aesthetics. Fellow LinkedIn user Stef explains that within her industry many creative professionals perceive QR codes as an unsightly interference to creative design. Stef: Many designers I know (and I know a lot of them) are loathe to put QR codes on their clients’ biz cards because they’re just plain ugly, difficult to design around and ruin the brand’s design aesthetic. With the majority of comments remaining sceptical about QR codes in terms of business cards, you need to think about how your audience would engage with it. I believe it may be beneficial to direct it to your LinkedIn profile but as Neil pointed out: What would be the purpose of a QR code for LinkedIn when your LinkedIn URL was already placed on your business card? There is a constant battle between the efficiency to connect and the aesthetics of a business card which uses a QR code. I believe there are many ways which you could combine the QR code with the physical materiality of the card itself. To improve the aesthetics of the QR code on a business card – Would it be better to have your QR code and no other details except for your name/company? Touching upon another LinkedIn discussion, I wanted to enquire how creative professionals would respond to a Gemini Search business card which only had our QR code and company logo. Aesthetically, you wouldn’t have to worry about text and the relationship between logo, text and QR code; but you ultimately would be taking risks into whether or not the recipient would take the initiative to scan the barcode. Marc: Sounds like a brave step to have nothing but a code on your business card, but I suppose the novelty and curiosity could work in your favour and result in a more engaged and inquisitive consumer, more likely to spend quality time on your site. With no supporting text – you would be depending on whether he/she actually possesses a smartphone or QR code reader and you would even presume that the majority of professionals understand how to use a code. Marc: I think that QR codes are a bit like the mini disc player… It works fine, it’s kind of innovative and better than that which came before it, but it feels like there is a much better solution that does everything and more, lurking just around the corner. Maybe I’m wrong. So, in a similar direction to what Ellen experienced, providing exclusive material such as incentives or exclusive content may provide recipients more information about you as a professional in addition to how you market yourself strategically with strong conceptual thought. Jeffrey: QR codes are definitely aimed at the tech-savvy professionals and individuals who use their Smartphones frequently. I believe the younger generation, especially teenagers are going to be more receptive – so in the next few years, QR codes will continue to expand to accommodate an even younger audience. We can see strong examples on online-gaming and well-known brands using QR codes in bus stop advertising. In terms of business cards – I’m unsure whether QR codes will replace the typical format. QR codes act as a great enhancement – but the effectiveness of combining contact details with exclusive incentives/media can only be determined when QR codes have become more popular within brand marketing. I personally feel that QR codes could be placed onto of the business card on surfaces such as acetate, acting not only as a protector/cover but as an enhancement. Marc: I agree that the younger generation will be more receptive. Nice campaign. Certainly drives the traffic and great in combination with an app and the QR code is a nice (and very appropriate) way to facilitate the link between the two. That’s a very nice idea with the acetate… I wonder if the code would be readable if it was on a foil laminate or in Spot UV, which could be cool. Will the development of QR codes fail? From reading the LinkedIn comments within this article, you can see that many people believe that QR codes are a transitional technology which will lead to bigger and better marketing application. So watching this video – It made me realise that QR codes may become limited within its own black box. But this doesn’t mean that you can’t take advantage of the possibilities that QR codes can offer. QR codes have developed far from the origins of the vehicle manufacturing industry and companies are beginning to dedicate a substantial amount of their budgets into mobile marketing in particularly through QR codes. But as I emphasised earlier, the aim in using QR codes and other similar mobile applications for self-promotion is to entice recipients by creating a unique and creative experience. Not only by the concept of a QR code but also by the overall visual design of your business card. So before you begin creating a QR code for yourself or even contemplating whether it would be suitable for self-promotion, always remember that a QR code should not be a substitute for your main website but should enhance the introductory experience by creating transparency and engagement.